Adrian Wilkins, Chief Executive of CHF Media, meets with Moon Consulting to talk about his role as CEO for an independent animation studio, what challenges he is facing and what his vision for the future is. CHF Media Group was formed in 2011 from the legacy of Cosgrove Hall Films which was an animation studio based in Manchester. I was one of the founding members and I came in to oversee and run the company. My role as CEO is to oversee all the group companies and make sure that everyone involved has everything they need to carry out their roles efficiently. CHF Media Group has two main companies, CHF Enterprises, which is based in Bristol and raises money to fund the shows via an FCA regulated fund. And, CHF Entertainment which is based in Manchester, consisting of one of the largest animation teams in the UK and which produces the shows. We’re making Daisy & Ollie for Cartoonito starring Jason Mannford, and Brendan O’Carroll and is already their number one rated show. We’ve had Pip Ahoy! on Channel Five and Cartoonito since 2014 and series 3 has just been launched on ITVBe. Each of our shows also has its own company which is controlled by the individual creative, they own the idea and take a share in the company. We mentor them, supply the investment and provide studio support. How do you decided which shows to make? We have a committee which is loosely based on the personalities of Walt Disney. Walt was famous for having three rooms in Disneyland, one for each aspect of his personality. In the dream room he’d come up with ideas, in the realist room he’d decide if the idea would work in the real world, and in the critic’s room he’d tear the idea apart. We take this one step further. Our committee involves everyone from the creatives through to financing and HR. We produce everything from long form animation such as Pip Ahoy! and Daisy & Ollie – through to a pre-school fitness programme called Animal Fu which has been sold into “Everyone Active”. We’ve just launched The Swimstylers which is a really exciting swim programme to rival the ASA and STA’s well-established badge-based system. We saw a gap in the market and created aspirational characters which are engaging as they come from varied backgrounds, cultures and are different ages. We’ve rolled the trial out to 3,500 children. The plan is to go global and support with a merchandising range. We also have our own TV channel – Okee TV - which has just launched on YouTube. We haven’t marketed this yet as we’ve been uploading content – Ham ‘n’Eggs, Chester & Rex and the 100 Mile an Hour Fairy Tales – but we’re already getting 100s of hits just from word of mouth. What is the most fun part of your role? It has great moments – a couple of weeks ago I was at the studio in London doing a Daisy & Ollie recording with Sarah Hadfield and Clare Morgan who were singing nursery rhymes for the show! We get involved with a lot of celebrities. For Pip Ahoy! Sir David Jason voiced a number of the characters as in the past he was involved with voicing characters for Cosgrove Hall Films, such as Dangermouse. We also got Stacey Solomon to sing the theme tune after bumping into her at the BAFTAS. Jason Manford and Brendan O’Carroll have been brilliant for Daisy & Ollie because they have a really big social media presence and the right demography. What is your vision for the future of CHF Media? I want CHF Media to be the most prestigious content and animation studio in Europe. I want the reputation of the old Cosgrove Hall Films back and I want to leave a legacy. There is a strap line I use quite a lot “our childhood memories are built on the dreams and visions of the characters we grew up watching. It is now our turn and our privilege to provide those dreams and memories for the next generation and generations to come”. Hopefully the current generation of children will grow up watching Daisy & Ollie and when they’re our age they’ll reminisce about watching Daisy & Ollie on TV. We’re a relatively small independent amination company and we’re competing against the likes of Pixar, Entertainment One, 9 Story Media and Spinmaster who can spend £millions on marketing. We can’t do that. We have to be clever and come up with different ways of doing things. It’s about being creative and exploiting our characters to get the return on investment. We have to continually think outside of the box but because we have the relationship with the IP owners, we can make those arrangements, we can generate market presence, and we don’t need the same return on investment as the big players require. For example, we’ve launched a virtual Pip Ahoy! trail in Cornwall this summer with the support of the Cornish Tourist Board. You go onto the Pip Ahoy! trail website and each time you find a character you get a discount voucher, for example, for a local theme park – which keeps mums and children engaged. This model is really scalable - if you name a town, if you want us to do a Pip Ahoy! trail at the seaside, we can do that. A key piece of advice is to know what you know and know what you don’t know. You don’t need to be expert in everything, employ good people to fill the gaps. I also think that what makes a good business leader is the ability to make decisions. I was once told by someone that the only wrong / bad decision is not making one. And I often tell my team this – don’t worry about what decision you make, I’ll back you 100% but just make a decision! If you make a decision and it turns out to be wrong we can always change course but if you’ve not made a decision in the first place, we’ve not even started. Do you have any advice you’d pass on to a newly appointed director? This is a great piece of advice because I’ve gone to bed thinking - oh god what’s going to happen tomorrow. Then you get to tomorrow and it’s a completely different outcome to the one you thought was going to happen! You can’t dwell on tomorrow because it’s a new day with new challenges and outcomes. And, don’t take success or failure personally, but do take responsibility for your actions. It really annoys me when people don’t take responsibility. I won’t be upset with someone for making a mistake if it is a genuine mistake, as long as they own up to it. We’re human, we all make mistakes. 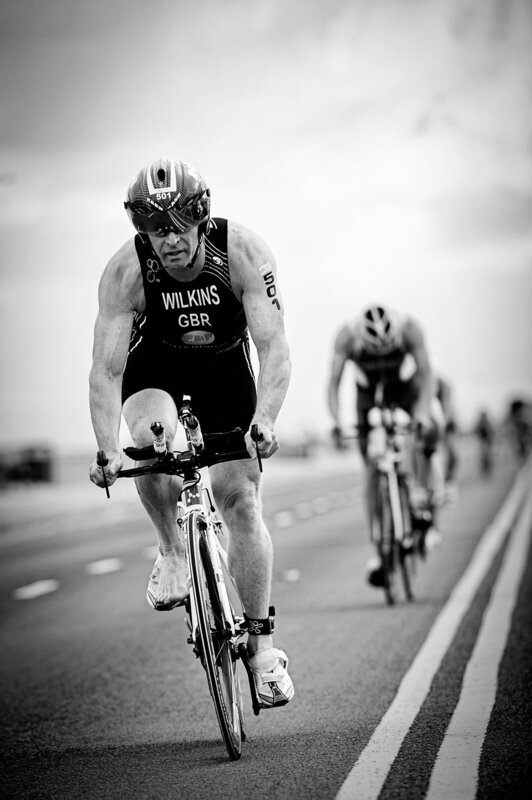 I am triathlete and travel the world competing for GB in my age group. I’ve been doing that for the last five years. I train a lot - before work, after work and a long ride at the weekend, I also race most weekends in the summer. It’s a great way to travel the world with my family, as my wife and kids are all triathletes as well! We’ve been to Geneva, Chicago, London, Auckland, Lisbon, Kitzbuhel and Turkey representing team GB. My favourite race was in Walchsee in Austria a few years back it was so picturesque, the lake was like millpond with the reflection of the mountains in it, just imagine diving into that. My next race is in Ibiza at the end of October, unfortunately and probably just as well, I think all the nightclubs will be closed by then. Who is your hero / personal inspiration? Walt Disney. He was a self-made man. He set up a company which failed and went bust, so he setup another one which he built into one of the largest entertainment industries on the planet. The quality of the animation considering everything was hand drawn was amazing, and that was all Walt Disney led in those days. He was dream factory – it was never about the real world, he gave children dreams. I only get the time to read on holiday, so this is a waiting to read. A friend recommended “The SHED Method by Sara Milne Rowe” which hypotheses that the right balance between sleep, hydration, exercise and diet can help you become a better leader, make better decisions and better choices. Not that I only read personal development style books, but I have found in the past books like “The 4-hour work week” and “Rich Dad, Poor Dad” all explore similar themes just packaged in a different way, with the underlying principle always seeming to be about making a decision to do something and not getting bogged down in the negativity. While some of it doesn’t work in the real world you can take certain bits of learning from all of them. Moon Consulting has an impressive track record when it comes to recruiting visionary leaders for the creative sector. As trusted partner to our clients we understand we understand the industry culture and can source candidates who have that unique mix of entrepreneurial spirit and intellectual creativity which is required to create credible and ground-breaking market propositions. For more information on how we can help you find the very best talent click here. Alternatively, you can contact us via email or call us on 01275 371 200.